Born in Teheran in 1961, he was still a teenager when he began to play the santur. Taught by Mrs Ali Pour at the Centre for the Protection and Promotion of Traditional Iranian Music, he was also given opportunities to meet such great masters as Yussof Foroutan, Said Hormozi and particularly Ahmad Ebadi, and hear their recorded music. He then turned to learn the setar monitored by Dariush Tala'i, Behnam Vadani and, in 1982, by Mohammad Reza Lotfi thanks to whom he acquired a thorough knowledge of the instrumental radif (Mirza Abdolah). 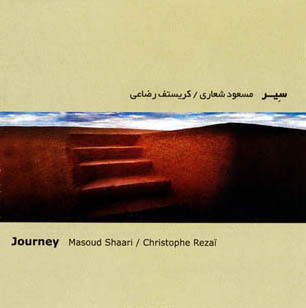 As to music theory he was to go deeper into it thanks to Hossein Alizadeh and Arshad Tahmasebi.